President Donald Trump’s repeated calls for stiff tariffs and quotas against Chinese, South Korean, and other foreign companies that are allegedly dumping their products on U.S. shores sounds all the right patriotic notes. Until, that is, as history shows, foreign countries retaliate in kind. Powered by the appeal of his “America First” platform, the president has waved the flag to promote the idea of protecting a number of industries against predatory foreign competition. He has also suggested withdrawing the United States from the North American Free Trade Agreement, much like he earlier pulled out of the fledgling Trans-Pacific Partnership. Trump is far from the first president to vigorously support strong U.S. trade policies. Barack Obama and George W. Bush slapped high tariffs on Chinese tires and foreign steel imports, respectively. The difference is Trump’s jingoistic rhetoric — a “win-at-all-costs” attitude that assumes other countries will cower and capitulate. His stance also seems to ignore the reality of multinationals’ reliance on global markets. The moves might also cause prices on many goods to jump, forcing consumers to rein in spending. The drop in spending, theoretically, would slow the economy and lower corporate revenues and profits. With its America First rhetoric, the Trump administration seems to be ignoring history. 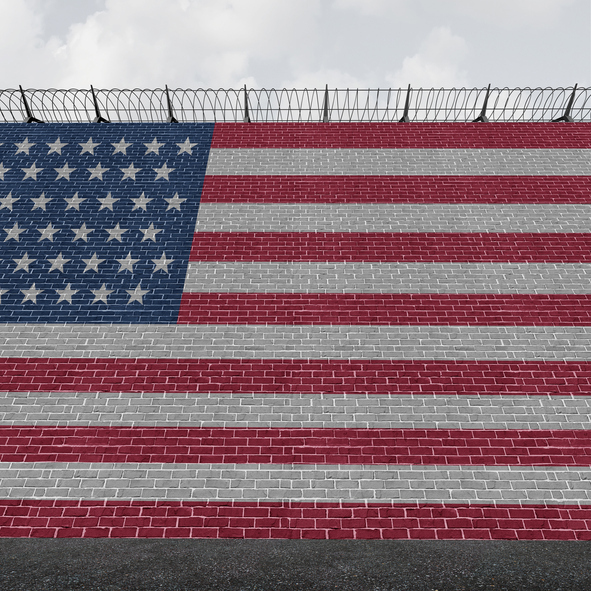 American trade protectionism has regularly failed to help the industries and workers that the government was trying to protect, says Linicome. “The trade protectionism the president favors increases the prospect of retaliation by foreign countries, harming import-dependent U.S. companies,” he explains. Domestically, someone must pay the piper when tariffs are imposed on importers. For example, the overall economic cost of U.S. trade protections against steel imports from the 1990s to the early 2000s was close to $2.7 billion, in Linicome’s estimates. Since U.S. steel-consuming industries employed between 40 and 60 workers for every single steelworker, the jobs preserved in the steel industry were vastly outnumbered by job losses in the industries using steel. The harsh protectionist measures were challenged by the World Trade Organization and removed in 2003. In other words, what’s good for one industry is not always good for the wider economy. 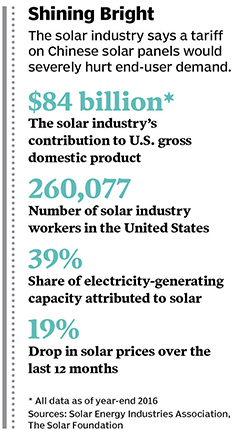 A current case in point is the U.S. solar industry. 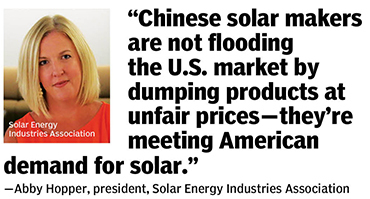 Two bankrupt solar panel manufacturers, SolarWorld Americas and Suniva, have petitioned the federal government to impose tariffs on Chinese-made solar panels. They allege that Chinese companies are dumping their products on U.S. soil—that is, selling the goods below their actual cost in order to steal market share. The U.S. manufacturers have requested a minimum import tariff of 32 cents per watt for solar modules and 25 cents per watt for solar cells. That’s just a few cents less than the current per-watt costs, so it’s a significant levy. The petitioners are also seeking a minimum price on panels of 74 cents a watt, nearly double their current cost. The ITC, a quasi-federal agency that determines the impact of imports on domestic industries, weighed in on the subject in September 2017. Its four current members unanimously concurred that Chinese solar panel imports had caused “serious injury” to domestic producers. In mid-November, the ITC presented its tariff recommendations to President Trump, who has until January 12, 2018, to decide whether to impose the levies. More than two dozen U.S. solar manufacturers have gone belly up since 2012, so there’s a good chance the president will take some action in the name of domestic producers. But most of the solar industry opposes government intervention, which would drive up consumer prices for solar energy, causing the volume of solar installations in the United States to plummet. Hopper maintains “the vast majority” of U.S. solar companies are thriving, growing revenues 98% in 2016. 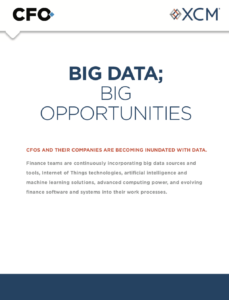 Those companies are projected to triple in size over the next five years. “If the [petitioners] get what they want, it will double the price of solar, which will reduce demand by more than half,” Hooper says, and could result in 88,000 lost jobs. An entire industry, economists claim, would lose traction at a time when the build-out of solar infrastructure is in its nascent stages. President Trump also is considering imposing tariffs in a more mature market: washing machines. In a petition filed by appliance maker Whirlpool, the ITC unanimously agreed that two South Korean washing machine manufacturers — Samsung and LG Electronics — were causing “serious injury” to Whirlpool. In early December, the ITC will decide what specific tariffs or quotas it thinks should be implemented. In both the solar and the washing machine cases, the ITC reviewed the petitioners’ claims through the lens of Section 201 of the Trade Act of 1974. This “safeguard” law offers broader protections to U.S. companies than the 1930s-era antidumping and countervailing duty laws. Whirlpool declined requests for an interview, but in published reports the company insists Samsung and LG have an unfair advantage. A more level playing field would help the company sell more washing machines, resulting in the hiring of an additional 1,300 employees, Whirlpool says. The South Korean manufacturers have demurred, attributing Whirlpool’s declining sales to its washing machines’ inferior design and a shift in consumer preferences. There is some truth to this argument. “Whirlpool has lagged behind in terms of meshing the Internet of Things (IoT) with its products, whereas Samsung and LG have excelled in this space,” says Robert Hartwig, an associate professor of finance at the University of South Carolina. If Whirlpool is not meeting demand for Internet-equipped products, that’s a problem. Many consumers, particularly those in the tech-savvy millennial generation buying their first residence, are “looking for smart kitchen appliances and other products that integrate with the rest of their homes,” Hartwig says. Whirlpool’s attestation that it won’t be able to hire more employees without trade protection is likely true, but that doesn’t mean overall U.S. employment will suffer. Both Samsung and LG have announced plans to build factories in the United States that would more than make up for Whirlpool’s hiring loss. If the president imposes a tough levy on LG and Samsung, many consumers will end up paying more for a washing machine they prefer over one made by Whirlpool. Or they just might stick with the one already in the laundry room. During the 2016 presidential campaign, Trump frequently insisted that China had dumped steel in the U.S. market. On more than one occasion, he called the alleged dumping a national security issue. As always with President Trump, it’s hard to separate bluster from real plans. However, Nucor’s CEO John Ferriola told Bloomberg in September that Trump had personally assured him of his determination to impose steep levies on steel imports. Nucor, the largest domestic steel producer, declined requests for an interview. Under Trump’s directive, the Department of Commerce has investigated the national security dimensions of steel imports under the rarely used Section 232 of the Trade Expansion Act of 1962. According to Linicome, the rule permits the president to impose protectionist measures that fall outside permissible global trade rules, effectively constituting a unilateral trade action. “Were this to happen, it would be an abrupt departure from previous Republican and Democratic administrations,” says Linicome, author of a detailed Cato Institute policy analysis, “The Long History of America’s Protectionist Failures,” demonstrating the failure of American protectionism from the late 1880s to the present. Does the U.S. steel industry need trade protection? “Big steel companies like to complain that cheap foreign steel is the problem, when the real problem is small domestic mini-mills using scrap metal to make steel,” says Dartmouth’s Irwin. The mills mostly produce carbon steel used in automobile manufacturing, construction, and consumer products. “These mills are close to their customers and are more nimble and efficient,” Irwin says. If the president imposes stiff trade protections on steel imports, economists expect a reprisal by China and any other countries caught in the squeeze. “When you move in the direction of unilateral protectionism via Section 232, the likelihood of countermeasures restricting American companies’ businesses in affected foreign nations increases,” Linicome says. Ironically, Trump’s proposal to rewrite NAFTA in the country’s favor has little support from domestic business leaders. The U.S. Chamber of Commerce has promised to send an army of lobbyists to Capitol Hill to persuade Congress to preserve the agreement. Another group, the Trade Leadership Coalition, in November began airing pro-NAFTA advertisements in nine states that Trump won in 2016. The U.S. and other NAFTA members recently held the fifth of seven scheduled rounds of talks about the 23-year-old treaty. Unfortunately, Congress does not have the power to save the treaty. 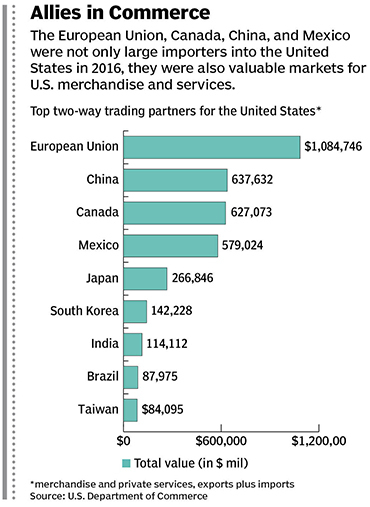 The White House also has a lot of power when it comes to trade fights. The ITC is considered a fair broker when it comes to examining trade issues and executing the law, but the larger geopolitical dimensions of the commission’s recommendations must be weighed by a sitting president. Given Trump’s staunch nationalism, geopolitics is likely to be a secondary concern in his tariff determinations. So, what’s the solution? “Instead of taking protectionist measures, government and industry need to develop policies to help workers prepare for disruption and quickly adjust to it afterwards,” says Linicome. Another suggestion is to let the WTO perform its key functions as a forum for trade negotiations and adjudicating trade disputes. The organization defuses political tensions and comes up with “reasonable ways of deciding if a country’s trade policies are in conformance with agreements or violate them,” says Irwin. The Trump administration has hinted at ignoring or leaving the WTO, the organization through which 164 countries, including China, have agreed they want to resolve trade disputes. A U.S. departure could cause other countries to follow suit and leave a proven system in tatters. 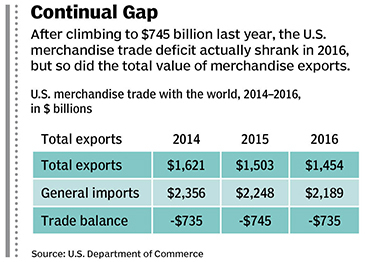 Yet Trump seems determined to move the nation toward bilateral trade deals that favor the United States. Or worse. 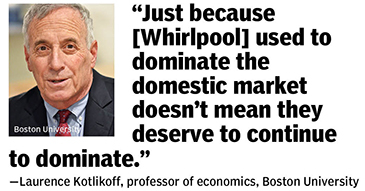 Many domestic producers would love steep tariffs slapped on goods imported from other countries, Kotlikoff says, but that would be unwise. The U.S. economy is currently 16% of the world economy and, he contends, headed to 5% by the end of the century. 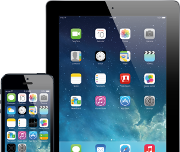 “This is not the time to seek unfair advantage over global competitors,” he says. Russ Banham is a veteran financial journalist and author and a longtime contributor to CFO. The U.S. Commerce Department takes action over Canada’s subsidies to jet maker Bombardier. The big question for some is not the likelihood of tariffs, but how high the levies will be. In this regard, the decision by the U.S. International Trade Commission (ITC) to impose preliminary antisubsidy duties on Canadian aircraft manufacturer Bombardier may be illuminating. 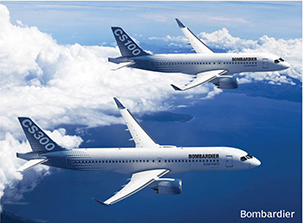 Here’s the backstory: Rival American manufacturer Boeing accused the Canadian government of unfairly subsidizing Bombardier’s C Series jets, dumping the aircraft at a price well below production costs. Canada is accused of offering billions of dollars in loans, equity infusions, grants, and tax credits to Bombardier. The U.S. Commerce Department retaliated with a stiff 219.63% countervailing duty on the jets. The duties are subject to the ITC’s review, hence their “preliminary” status. The ITC is expected to provide its recommendations in early 2018. Meanwhile, Newsweek reported that Boeing has received substantial government subsidies: $457 million in federal grants, $13 billion in state and local subsidies, and nearly $64 billion in federal loans and loan guarantees. That makes Boeing’s complaint that Canada is unfairly subsidizing the C Series jets seem hypocritical. As Dean Baker, co-director of the Center for Economic and Policy Research, puts it, “You can’t define protectionism as the things you don’t like.” — R.B.